we made the statement that your Internal Representation of reality around you can be easily manipulated by the masterful use of language and that other’s people use of language has a profound effect over your decisions and beliefs! We also asserted that if language is used to instill fear, hopelessness and helplessness we will watch more but it will not help us a bit. Now notice what a good feelings this message gives you. It is language used in a certain way to create positive Internal Representations! Your internal state is changed. Nevertheless, much of the news come from the same source everywhere in the world (this is why news media is at a low in terms of audience numbers – people are bored and fed up and search for real news on the internet). Regardless of what channel you watch the language used is the same. The stories are the same. Different channels that are supposed to be coming to their own individual conclusions present the same story. And the language used is exquisite (not for your benefit mind you), but exquisite in its usage to modify your Internal Representations in the desired direction. What benefit can you possibly derive from being perpetually scared to death by the next “crisis”, by the next drama, by the next “stay tuned, amber alert”? I am not saying important things should not be broadcast – do not misinterpret my words folks – but all the time language that induces fear, and lack of self-confidence, hopelessness and helplessness cannot possibly carry a positive mind set you’re left with after watching the news. “Everybody ready? Got your language patterns straight? We all agree? Okay, go!” – this is how news language seems to be today. To bolster that message, the show hit “overachievers” and “ambitious people” hard. The veiled message (through exquisite use of language) was: got ambition? Want to do something for yourself? Forget it! You’re a bad person deluded and selfish if you think this way. In the past this is how people were thinking and this is why we are where we are today! Now, NLP trained people will notice immediately all the language linking internal images, with Negative Emotions (like guilt) leading to a certain conclusion. Next the show rolled out the specter of corruption and hypocrisy (thus having the viewer access a state of repulsion and thus linking it to individual achievement and success and in turn linked everything to ability to think individually. From the language point of view it was a work of art. Unnamed “experts” opinions came next – and one of the NLP questions from the Meta Model coming to mind here is “Who specifically?” And “Experts in what specifically?” They used language full of “insinuations”, “suggestion” by the use of very non-concrete hypnotic sentences to lead the viewers to a predestined conclusion. Now stop for a second and read that sentence again. What on earth does that mean? Here is what it means: whatever you make it to be! And that’s exactly the point! There is nothing concrete in this language! There is nothing you can hang your hat onto. There is nothing you can pin point with precision. But it makes you nod your head and say, ”Yeah! It makes sense”. What? Ask yourself does that mean anything? Now you may be tempted to tune out and catalogue this as gobbledygook. But do not make the mistake even for one second to think that it does not influence you. Think of this imaginary situation. Beginning of the show: Bill was thought to have some deciding power in this situation. Middle of the show: Bill decided to not participate in this situation. End of the show: Bill got his way again. So, at the beginning of the show you were told that maybe Bill could have had something to do with a situation by the words “was thought”. You are not sure of anything at this point. Then later you were told that he decided not to participate in the situation. You don’t know if Bill was ever involved – deciding not to participate does not mean involvement! But, in your mind you already made the connection between Bill and the situation. And by the end of the show by the use of the word “again” as in “Bill got his way again” you are left with the internal representation of Bill being involved but succeeding in getting his way. 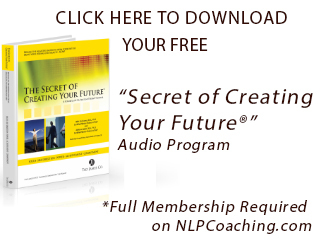 Once you understand simple principles about language (which we teach in the first level of training – the NLP Practitioner Training) you can also realize how many disempowering things you do in your mind, things that prevent you from ever achieving your goals and objectives not to speak about your safe future and dreams. When language leads you to fear, lack of self-confidence in your own resources and capabilities, to hopelessness and helplessness in the face of adversities, it is not news anymore – it is fairly close to what Edward Bernays called “Propaganda” in the 1930s. It robs you from your creative power to succeed in spite of all adversities. Propaganda is a battle between competing images and messages. Language is the tool. 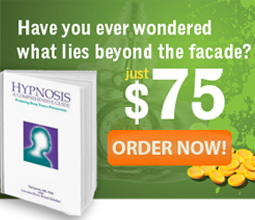 Learn it now in the NLP Training!